With a jewelry box made of this very luxurious material you have the perfect place to store all the little things you keep in your bathroom. 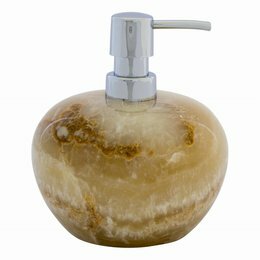 Luxury Soap Dispenser made of Sunset Onyx. Height 20 and Ø of 8 cm. Onyx is a luxury Glassy Marble variety in it you will see the most beautiful structures. 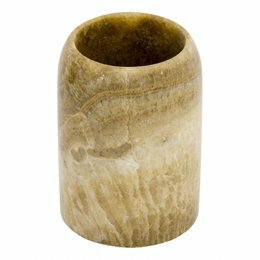 This toilet brush holder made of onyx with its beautiful design and beautiful curves is a real piece of art. 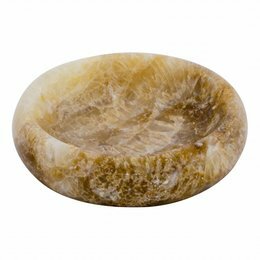 With this soap dish for your hand soap made from our luxurious Sunset Onyx you now have a beautiful piece of art on your sink. 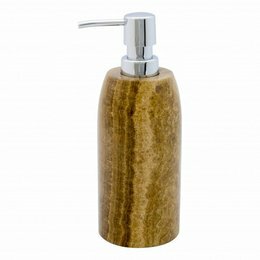 This soap dispenser will be a real eye catcher in your bathroom. 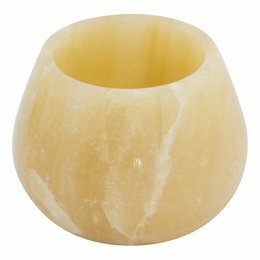 With its elegant look, round shapes and made of our luxury onyx this is a real piece of art. 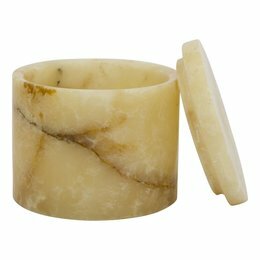 With this toothbrush cup made of onyx you do not just have a place for your toothbrushes but they are now standing in real gemstone on your sink. 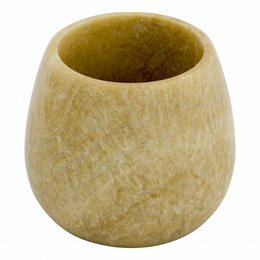 This toilet brush holder in its beautiful earthy colors will give a beautiful and natural look to your bathroom or toilet. 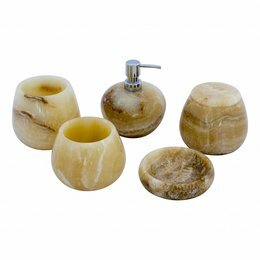 This 5-piece bathroom accessory set Senja consists of a Soap dispenser, Toothbrush Cup, Toilet Brush Holder, Soap dish and a Jewellery box. 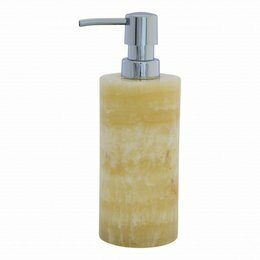 An onyx soap dispenser is luxuriously timeless and elegant. With this soap dispenser you get a piece of nature in the house that you will enjoy for a long time. 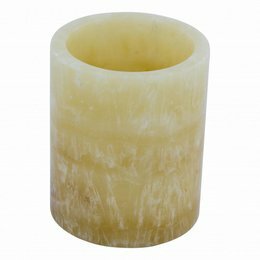 This toilet brush holder made of our luxurious yellow onyx deserves to get a nice place in your bathroom or toilet. 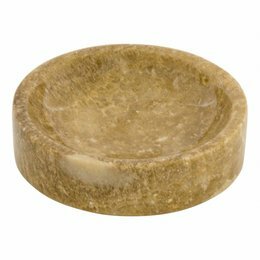 A soap dish for your hand soap is actually a must have. 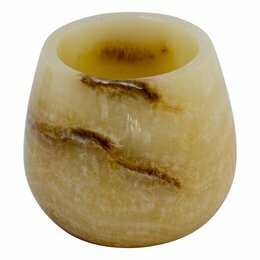 Why not immediately get a luxury dish made of our beautiful Sunset Onyx. 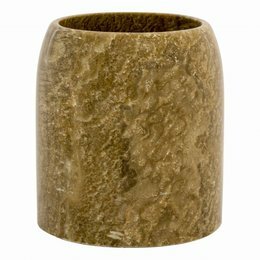 A beautiful, elegant and luxurious toilet brush holder made of our beautiful Sunset Onyx will give your bathroom or toilet a luxury look and feel. 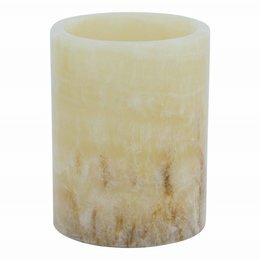 With a cup made of Sunset Onyx for your toothbrushes, your sink will look elegantly stylish and luxurious. 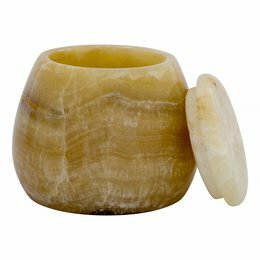 This toothbrush cup made of onyx is a beautiful piece of nature that deserves to be at your home to shine in your bathroom. This beautifully designed jewelry box will not look out of place in your bathroom. Nice to look at and handy for little things that would otherwise lie loose. 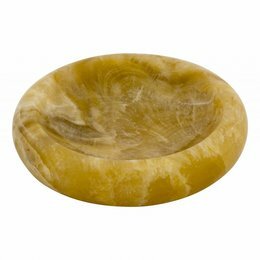 This beautiful round soap dish from our set Senja made of our beautiful yellow onyx gives your hand soap a permanent and very luxurious spot on your washbasin.